SKIIOT was at the Innovation World Cup and was chosen to finals from over 500 companies from 45 different countries. We were within top 4 companies in the category of Sport & Fitness. SKIIOT was selected to TOP 26 IOT INNOVATORS OF THE YEAR in the Innovation World Cup® Series competition. Public vote is open until February 5th 2019 at https://www.wearable-technologies.eu/iot-wt-innovation-world-cup-public-vote/. The winner will be announced at the Wearable Technologies Conference 2018 EUROPE in Münich. Current collaboration between Exiops and Tecinspire is a continuum of their previous cooperation in developing the SKIIOT product family. 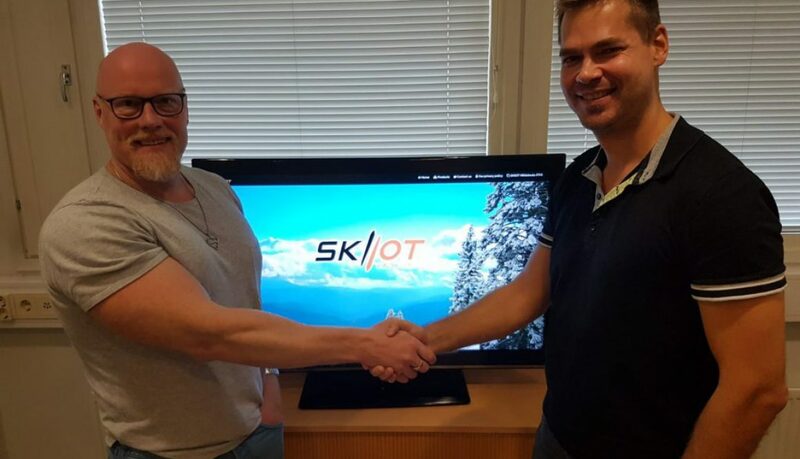 The striking mobile application (SKIIOT XC300) implemented by Tecinspire enables individual professional or hobby skiers to track the measurements collected by SKIIOT. Previously successful cooperation has created a good framework for another joint development project. This also creates the opportunity for business growth for the both Oulu-based companies. Exiops Oy develops a patented SKIIOT product family for ski professionals and enthusiasts. Tecinspire Oy develops mobile and web applications with 100% customer satisfaction.